Plans to establish a medical school at the University of Houston have been approved by the Texas Higher Education Coordinating Board. HOUSTON, TEXAS, UNITED STATES, November 6, 2018 /EINPresswire.com/ — Due to open its doors in fall of 2020, the University of Houston College of Medicine plans to focus predominantly on training primary care physicians to practice in medically underserved communities. Particularly in more rural settings, such underserved communities often lack specialty medical backup, according to Dr. David Anthony Miranda, making the position of primary care physician in these areas a challenging role to fill. A highly experienced physician now based in San Antonio, Texas, Dr. Miranda has spent three decades driven by a desire to care for medically underserved, predominantly rural populations, traveling tens of thousands of miles across the U.S. in the process. "The University of Houston College of Medicine continues to take steps forward, and receiving an endorsement from the Texas Higher Education Coordinating Board provides a clear indication that they're on the right track," suggests Dr. Miranda. However, several vital steps remain before the new College of Medicine can open its doors to students. "The College of Medicine must still submit its application for accreditation with the LCME, or Liaison Committee on Medical Education, the federal accrediting body responsible for all medical degree programs in the United States," explains Dr. Miranda of one such required and still pending step. So far, the university has raised in excess of $35 million in funds through private philanthropy for the medical college, the total cost for which is expected to reach $450 million. Other sources of funding include institutional funds, and private and public partnerships. Early next year, the university plans to seek the necessary remaining funds—an estimated $40 million—in appropriations from the Texas Legislature. According to figures released by the university, Texas faces a critical shortage of primary care physicians and is ranked 47th out of 50 states in terms of primary care physician-to-population ratio. The university is currently working to establish a partnership with HCA Houston Healthcare, the city's most extensive network of hospitals, medical facilities, and physicians, to bring almost 400 new resident positions to the College of Medicine during its first six years. "The school," says Dr. Miranda, wrapping up, "will aim to see more than half of all graduating students specialize in primary care, in an effort to address the vast shortage of primary care physicians, particularly in medically underserved communities, throughout Texas." 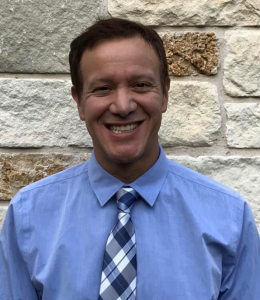 Dr. David Anthony Miranda is a partner of Fit-Life MD, a physician-owned medical wellness and fitness clinic in San Antonio, Texas. The mission of Fit-Life MD is to improve the overall health and wellness of patients through individually designed and personalized treatment plans tailored toward general health and physical well-being. Dr. Miranda's personal interests include investing in the stock market, especially publicly-traded healthcare stocks, as well as music, theater, and film.